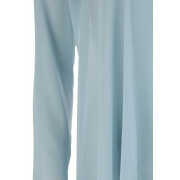 Add a touch of colour to a neutral occasion wear outfit by wearing this gorgeous mint green chiffon coat from Izabella. A flattering choice to wear with countless dresses. 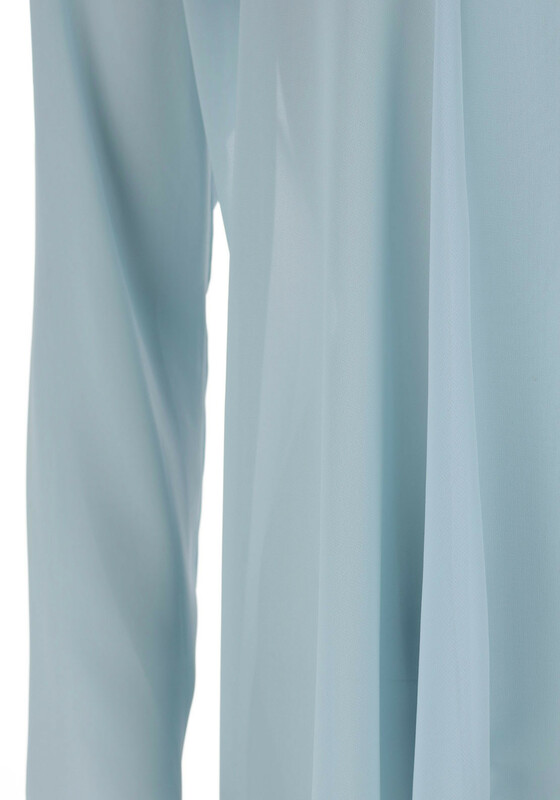 Featuring a lightly draped waterfall hem which creates a flowing effect. 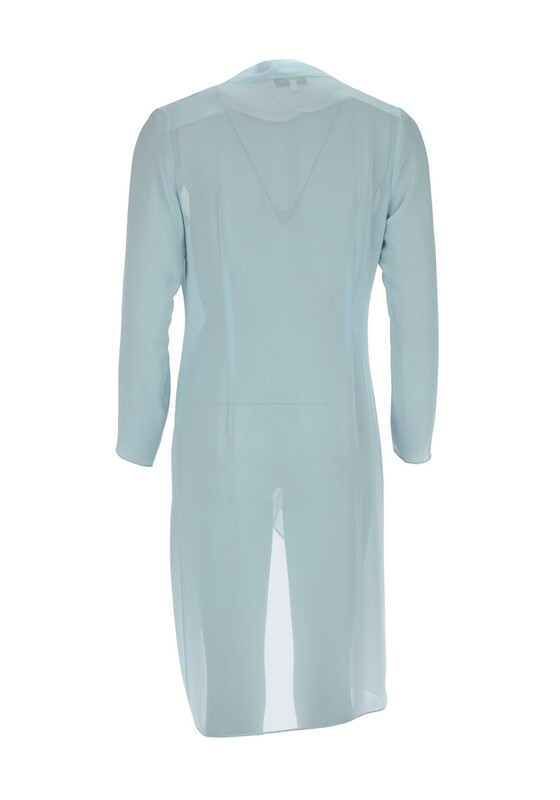 Designed with a slightly relaxed fit and a knee length.